Always on the ball, taking advantage of digitisation. Personal support constitutes the foundations on which collaboration in a spirit of mutual trust is built with our clients. This is very important to us and will always be a vital part of our work. However, for routine, organisational and administrative work as well as for processing and sending records, it goes without saying that we use tools and means of communication that make work and life easier for our clients and us, to save time and also to operate at the highest possible level in terms of data protection and privacy as well as information security. We use the services of the IT company DATEV, a business that has been offering top-quality software solutions for tax advisors, auditors, lawyers and companies since 1966. For instance, DATEV enables us to maintain effective interactive data links with fiscal authorities, social security institutions, banks, etc. 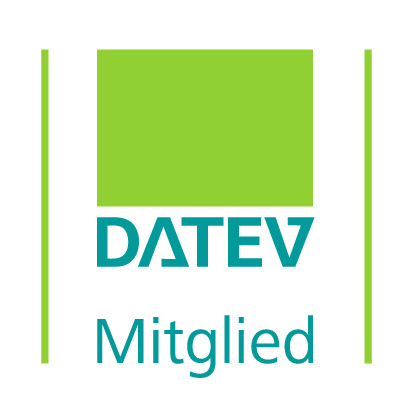 You will find further information on DATEV at www.datev.de or simply ask us – we will be pleased to answer any questions you may have.